Hey folks. It appears that our weekend has been spared from the worst effects of the tropical weather. So, I want invite you to my studio event this Saturday or Sunday. 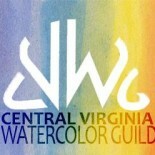 I am participating in the Shenandoah Valley Art Center’s Open Studio Tour again this year. I’ll have finished art work on display and lots of work in progress as well, some yummy refreshments (including some that are kid friendly of course), and some discount certificates for art work and classes too. You can see a preview of one of my newest pieces that will be in the studio this weekend here. Please come out and see what I’ve been doing lately! We can chat if you want or you can just look around and munch on something yummy if you like. For information about my fall classes at McGuffey, Crozet Arts, and Blue Ridge Community College, click HERE or feel free to contact me by email. text, or by phone. This entry was posted on Sep 15, 2018 by miatomaine in Classes/Workshops, Shows.